Portland, Maine's Bluestocking Film Series was founded in 2010 by filmmaker Kate Kaminski to exclusively showcase short films revolving around complex female characters, and to promote the filmmakers who make films about them. Bluestocking is the only women in film event in the world that requires a female protagonist and Bechdel-Wallace Test-compliance. This year, Bluestocking was listed as one of Anne Hornaday's 'Summer Preview' cherished refuges in The Washington Post and Marie Claire magazine listed Bluestocking #2 in The Things We Love About July. In 2016, Bluestocking celebrates their sixth year with road movies. I talked with Kaminski who is also the artistic director of the festival, about Bluestocking and her call for entries. Bluestocking is going to be six years old, you were ahead of the trend concerning the lack of equity in filmmaking. What prompted you to create the Bluestocking Film Series? At the time Bluestocking came into being, there wasn't a single women in film event in Maine (or northern New England) and I had a lot of experience producing screening events so it just seemed like it would be easy. Of course, it isn't at all! I was also driven by an insatiable desire to see more films that explored women's lives, our experiences, and our relationships with each other, separate from men, and to prove that women-driven films could successfully draw audiences. How do Hollywood female-driven films and male-driven road movies compare? Are women heroic? What do they bond over? I think they compare rather unfavorably. So many female-driven road narratives have tragic ends. I'd like to see something new. Films less gendered toward victimhood. Films that explore the experiences of women who take to the road for a variety of reasons, heroic or otherwise, and who bond over their shared experience of the kind of freedom the road represents. Why the call for female-driven road movies? I love the genre and there simply aren't enough narratives that portray the female experience of the road. Maybe it's because I'm not that adventurous and I like to live vicariously. And maybe it's because being on the road unmoors us from hearth and home and I'm interested in what happens to people when they set themselves adrift or are pushed out by circumstances beyond their control. The road is a place where everything is temporary and anything can happen. And "road movies" can so easily be combined with other genres -- like horror, thriller, comedy, sci-fi, you name it. 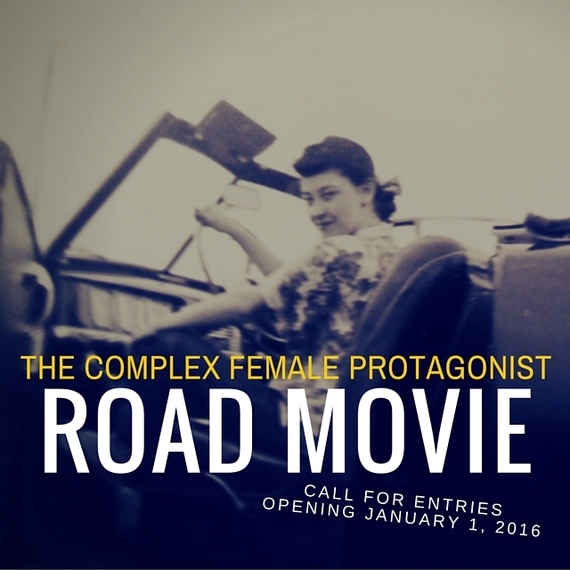 What's your favorite female-driven road movie? I was heavily influenced by Barbara Loden's film Wanda about a woman who abandons her children and goes on the road only to wind up in a complex relationship with an inept bank robber. Agnès Varda's Vagabond also features an "unlikable" main character named Mona who is fiercely independent, a free spirit whose inner life can only be guessed at and commented upon by those she comes into contact with. I love that both these characters refuse to try to earn our sympathy. They aren't portrayed in ways that make us comfortable with their female-ness. And of course, I still put Thelma and Louise on my top 10 of any list, even though I admit I'll often turn it off before the end. I like to imagine that they got away with it and survived. Can you tell I love anti-heroines? What advice would you give filmmakers who want to make a film for the world premiere challenge? Well, this challenge is for the seasoned pro or the emerging filmmaker, so there is a wide range of possibility. But having a big budget isn't as important as a great story and a memorable character. I always suggest keeping your film short (if possible 7-15 minutes) and centering the story around a single moment in the lives of complex characters. Use whatever resources you do have to set the mood and tone of the film -- you might have the perfect setting in your own backyard. You don't need a big professional crew to make a great short film either. Use an iPhone or borrow your friend's iPhone -- just keep it simple. The most important cinematic elements for us are thoughtful production design, great characters and solid storytelling. What is your definition of a complex female protagonist? What defines a complex male character? The same traits should be found within a complex female character. For me, it's a person who has secrets, flaws, strengths, weaknesses. I also think a complex female protagonist is one not solely defined by her relationship with a male character. What female protagonist from your childhood stands out? Mary Poppins because she was tough but had a saucy sense of humor ... plus Julie Andrews! The Wicked Witch of the West was probably one of the earliest characters that I recognized as truly complex -- she had a reason to be wicked. Dorothy did kill her sister, after all. I really identified with Scout from To Kill a Mockingbird -- I wanted to be like her: brave and outspoken. Creating Bluestocking is brave and outspoken! Okay, so how does a filmmaker submit a film for consideration? Our submissions open on January 1 and we're on both Film Freeway and Withoutabox. Kari Wagner-Peck authors the blog a typical son. She is a regular contributor at Huffington Post. You can find her on Twitter @atypicalson.